Fridays With Isaiah: Isaiah 3 – On Leadership! The fact that Leadership is such a big topic now frightens me after reading and thinking about Isaiah 3 this week! As Isaiah prophesies concerning the fall of Jerusalem and Judah—which would occur about fifty years later–not only do the signs of the catastrophe but the means of destruction include the absence of real leaders for the community. Look at the list of leader-types that are missing because of Israel’s failure to follow the Lord Almighty! Compare this list of absent leaders to our own time: We certainly live in the age of the anti-hero. Our judges and political officials do not inspire great confidence. Where does one turn today for leadership and have categorical confidence in that group? Church leaders? Educational leaders? Military leaders? Union leaders? Societal or cultural leaders? So what happens when such a leadership vacuum exists? People start turning to non-leaders and asking them to lead. The Youth start leading! What young people want rules the day! “I will make boys their leaders, and toddlers their rulers.” Well, that doesn’t work in Isaiah’s day because it results in social disaster: “man against man; neighbor against neighbor; young insulting their elders and vulgar people sneering at the honorable.” (v.5) I’m not sure that a society—including a church community—should be built on the immature desires of youth. Isn’t that what Isaiah is saying here? Or those with more stuff are chosen to rule! “Since you have a coat, you be our leader.” But those with More Stuff refuse because it is not in their own best interest. They are taking care of themselves first. “Oh my people, your leaders mislead you; they send you down the wrong road.” (v.12) And, as is always the case, the poor suffer the most because those with coats and contrived leadership oppress them, an abuse of power that leads to general destruction of the society—under which the poor suffer even more. I bet this section got Isaiah into big trouble. I found it fascinating because in railing against the haughtiness of women, Isaiah acknowledges the impact of women even in that very patriarchal society. Why mention the women of Zion if they had no influence! But they did. (See v. 12). They had stepped into the vacuum and had done no better than the men. The very graphic picture that Isaiah draws of bejeweled women, “craning with their necks, flirting with their eyes, walking with dainty steps, tinkling their ankle bracelets,” all seems intended to show the same kind of misplaced sense of what real leadership looks like. Just as the Lord stripped away from Judah the male leadership that had abandoned His Way, he does the same with the women who flaunt their beauty and sexuality for power and control—again sounding very much like our day, doesn’t it! The Lord Almighty strips Zion’s women of “everything that makes her beautiful”(v. 18). . . .”Instead of smelling of sweet perfume, she will stink. . . .Shame will replace her beauty” (v.24). If Jerusalem’s false and vacuous leadership resulted in its destruction, then shouldn’t the titanic number of words bemoaning, attacking, and attempting to generate leadership in our age sound like a warning to us? 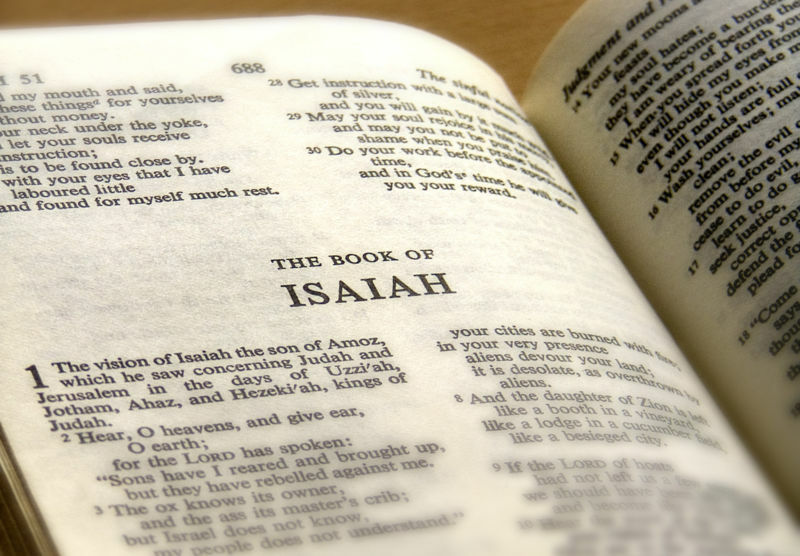 The warnings of Isaiah point all of us back to God’s leadership. There is no other that will not lead to destruction.